Spending more time on G+ and Picasa lately and discovering more photographers into the bike. 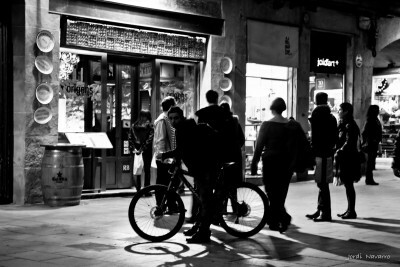 Jordi Navarro is based in Barcelona and this photo is from his Gents a Barcelona I photo album. Also see man with cellphone and our posts about Spain.